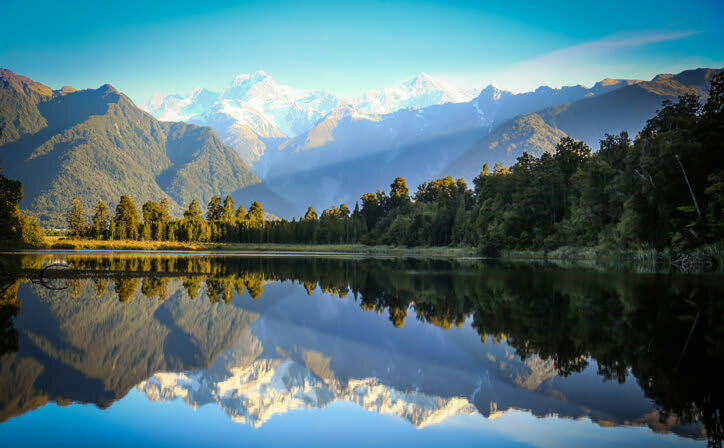 Four night tour to The Amazing New Zealand. On arriving at the airport, pick up your rental car from the airport and drive to your hotel and complete the check-in formalities. You have this day at leisure. Overnight stay at the hotel. 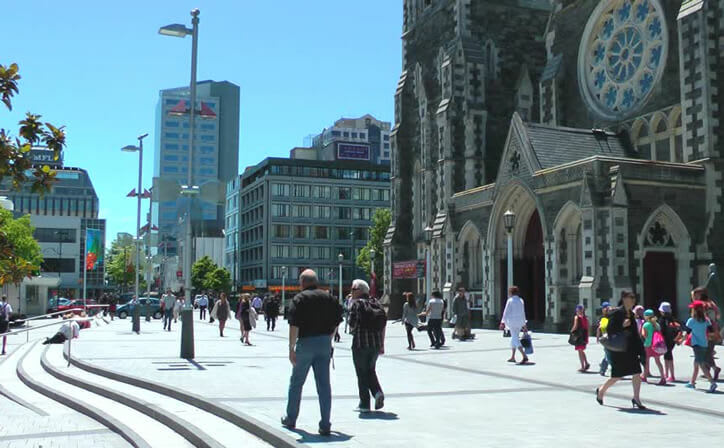 After relishing a delicious breakfast, leave Christchurch and proceed towards Queenstown. Travel through the diverse farmlands to Lake Tekapo- a highland lake, and township at 710 meters, surrounded by a vast basin of golden tussock grass. You can visit the Church of the Good Shepherd, which is situated on the shores of Lake Tekapo. During this journey, you also get a chance to spot the magnificent snow-capped Southern Alps mountain range. Head towards Mount Cook – New Zealand’s tallest mountain. Continue your journey south through the tawny tussocks of the Mackenzie Country. We reach our destination, Queenstown in the evening and you're allowed to spend your evening at leisure..
After a hearty breakfast, proceed for the scenic Milford Sound Cruise. Board the cruise for an amazing experience and get a chance to witness the iconic Mitre Peak, which sits over a vertical mile directly above Milford Sound. You can continue exploring with your guide in the tender vessels and kayaks. Observe the fur seals lazing on the rocks, numerous sea birds, and several waterfalls during your exploration. Later, head back to the hotel in the evening for an overnight stay. 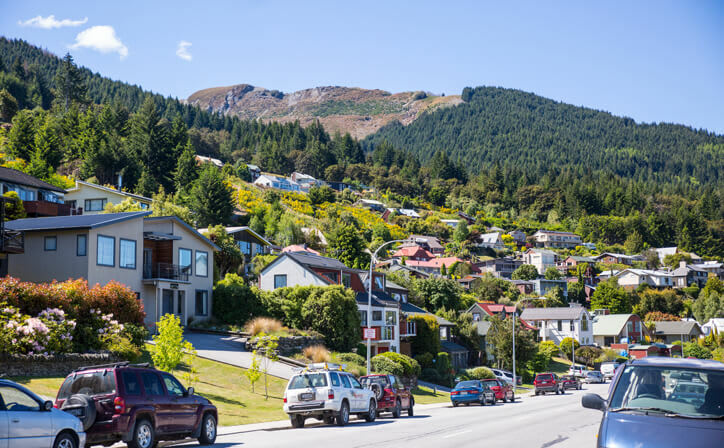 Enjoy your delicious breakfast and head out for an adventurous day in Queenstown. Today, we give you an option to indulge in exciting water and adventure sports. One of the most loved in New Zealand is the Shotover Jet Boat Ride. Other fun activities include Sky Diving or Sky Swing, Ledge, Bungy Jump, and River Rafting among others. Return to the hotel for a relaxing sleep after the eventful day. This day marks the end of your wonderful vacation to New Zealand. 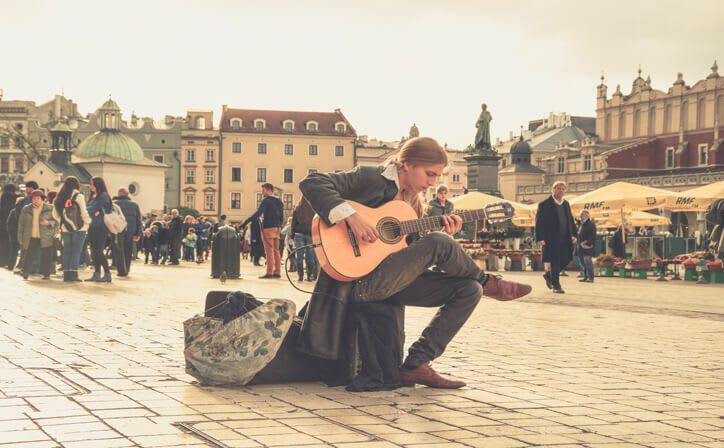 Post breakfast, check out from your hotel and transfer to the airport to board your flight back home. New Zealand stretches definitions and perceptions, evoking superlatives with unassuming ease and breathtaking power. Fictional worlds become vividly real, phantasmal landscapes burst with intimacy, while surreal adventure blends into natural tranquility. Welcome to a land like no other. 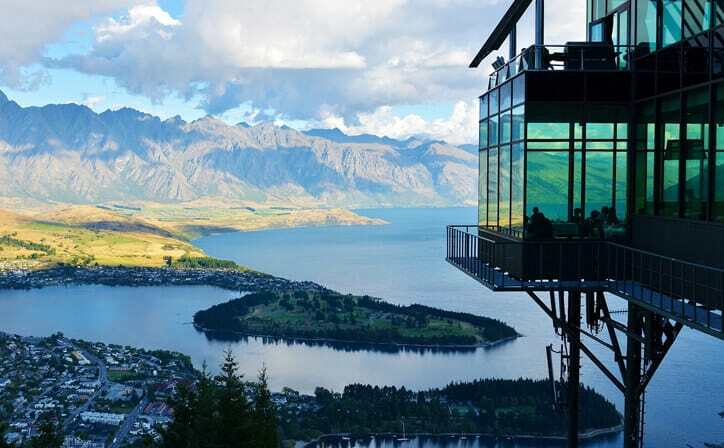 Queenstown, New Zealand, sits on the shores of the South Island’s Lake Wakatipu, set against the dramatic Southern Alps. Renowned for adventure sports, it’s also a base for exploring the region’s vineyards and historic mining towns. There's bungee jumping off Kawarau Gorge Suspension Bridge and jet-boating on the Shotover and Dart rivers. In winter, there's skiing on the slopes of The Remarkables and Coronet Peak. Each of the seasons has its own special vibe in Queenstown, and the great thing is that most activities can be accessed all year round. World-renowned for its adventure, Queenstown is home to a huge choice of adrenaline activities including jet boating, bungy jumping, white water rafting, skydiving and even indoor thrills – all guaranteed to get your blood pumping! When the cooler months arrive Queenstown transforms into a world class winter resort, with four ski areas and a range of activities, bars, restaurants and relaxation to make sure your winter holiday is as epic as possible. You can even combine a round of golf at one of Queenstown’s gorgeous clubs one morning with a tour of some of our wineries and cellar doors in Gibbston and further afield to discover just why Central Otago Pinot Noir is famous on the world stage. 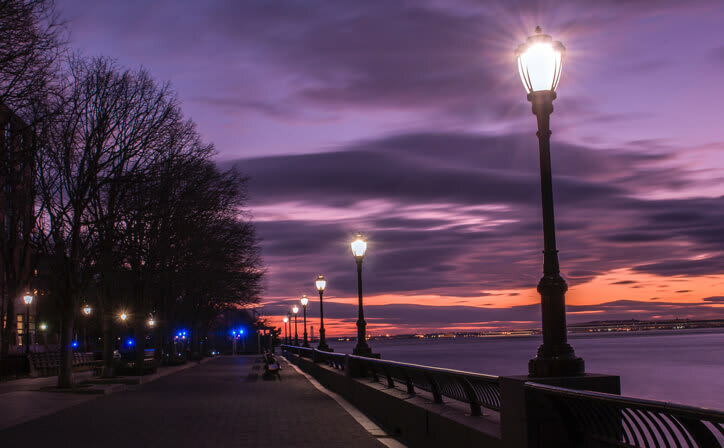 If you’re looking for a slightly slower pace there’s plenty of hiking and biking trails to explore, guided tours, boat cruises, scenic flights or spa and wellness options to help you get away. There's wildlife to witness around these parts too. Feed giraffes and lemur, ride into a lion enclosure or get up close with a rhino at Orana Wildlife Park – New Zealand’s only open range zoo. 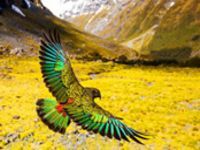 For a New Zealand wildlife encounter, Willowbank is the place – you might even come face to face with the elusive national bird – the Kiwi. ○ All transfers and tours as per itinenary. On SIC or Private as mentioned. Fall – March, April, May Fall in New Zealand is gorgeous. 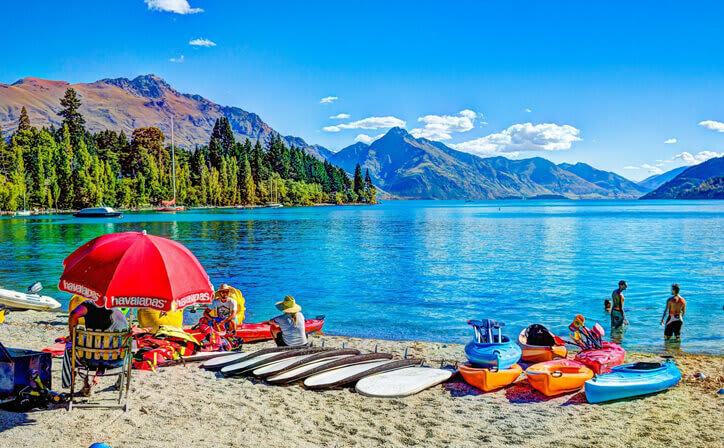 It's one of the best times to plan your New Zealand vacation since the summer crowds have left, the attractions charge off peak rates, and the weather is amazing. If you visit Auckland, you'll be able to wear shorts or your most comfortable summer dress still.